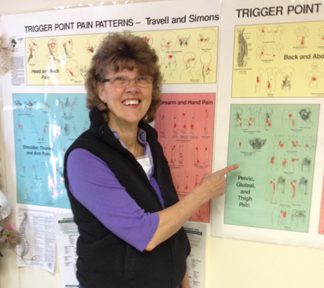 Joann tells us all about what she does with Therapeutic Massage, Myofascial Trigger Point Therapy, Reconnecting Healing and is a Chronic Pain Consultant. She is always continuing her education by keeping up with many of the latest health procedures and concentrates on helping the client. And can be reached by appointment at 724-352-3057. This entry was posted in Uncategorized and tagged Chronic Pain, Chronic Pain Consultant, Craniosacral, Health, Myofascial Trigger Point Therapy, Reconnecting Healing, Therapeutic Massage. Bookmark the permalink.